The relationship between marketing and psychology is as old as the fields themselves. Business graduates are required to take Psychology and Consumer Behavior courses so that they can better understand the concepts and processes that determine successful products and sales strategies. Similarly, visitor psyche also plays a vital role in driving conversion. Identifying the stimuli, both conscious and subconscious, that constitute compelling user experiences which result in conversions is important for both business heads and web designers. Many of the concepts covered in this article can be further explored by reading the book Influence by Dr. Robert Cialdini. An outstanding book on the power of persuasion. Whether it’s just good karma or a simple case of action and reaction, you are more likely to get your visitors to do what you want if you give them something they want first. If you want your visitors to consider buying your anti-spyware program, maybe you should give them a free eBook on computer security first or at least a nice article containing useful tech advice. However, you should not explicitly ask your visitors to respond to freebies with a purchase. Instead, start by just asking them to sign up to get the free stuff. Once you have their email address, you can start soft selling your services. Because the users have already received something from you, they’ll feel ‘indebted’ and be more inclined to hear you out. And when they finally decide to make a purchase, they’ll view you more favorably than a competitor who has never given them anything. Read It For Me uses a free trial and a free preview pack to get visitors to sign up. 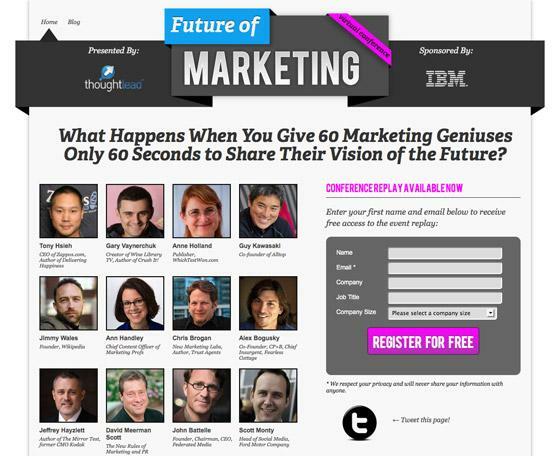 Future of Marketing uses a tantalizing tagline, a genuinely interesting freebie and a prominent ‘Register for Free’ button to increase conversion. Creating a sense of obligation or commitment is a sure way of engendering brand loyalty. Consider this example: If a user clicks ‘like’ on your company page and that action appears in their newsfeed (in open view of all their friends), they have now publicly signaled their support for you. This simple action creates a sense of commitment that will have far reaching effects. Human beings are hard wired to remain consistent with prior commitments. By connecting themselves with your brand, the user becomes an indirect promoter: they will keep up with what you’re doing, recommend you to their friends and defend your product against the competition. Peer pressure remains a driving force even after high school. You’re more likely to get a new visitor to sign up if you tell them that their friends and/or a million others have already registered. Social influence is a tactic that is frequently used by networking websites. They know that a simple generic email with an invitation to join is far less likely to gain new members than if one of their existing members sent out an invitation to all their friends. Personal references are always the most effective promotional tool but an impressive aggregate is also pretty convincing. If you don’t have the access required to show visitors which of their friends have already signed up, just showcase your success in impressive looking statistics- the number of registered members or the amount of hits you have received in the past month. 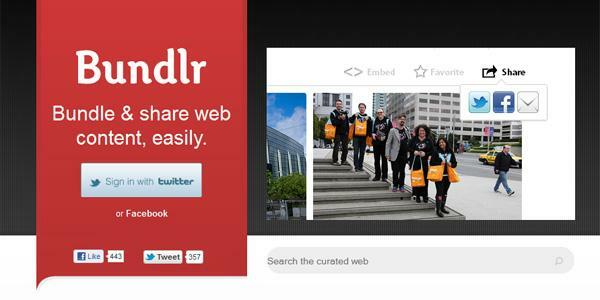 Bundlr displays the number of likes and tweets it has already received as social proof. Who doesn’t like special treatment? Consumers have a mistrust of companies and anything else that is clearly only after their money. A way to alleviate the situation is by showing that you see your customers as individuals you want a mutually beneficial relationship with- not just as a faceless source of revenue. One of the most effective uses of personalization has been in email marketing where companies now send emails that address the recipients by their names- instead of a generic ‘Dear Customer’. Tailoring newsletters and online content according to the interests the customer indicated when signing up is also another way to customize your promotions to the individual customer. 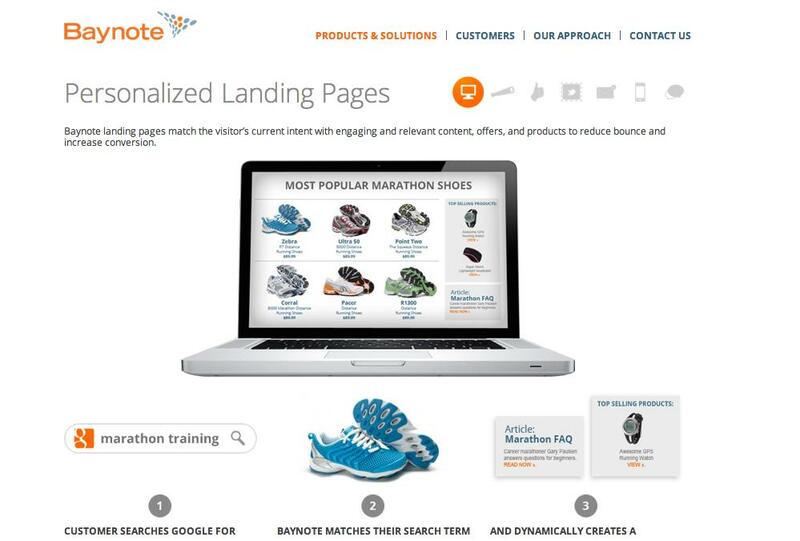 Baynote creates dynamic landing pages on the go that respond to individual visitor interests. If a celebrity or an ‘expert’ backs a product or offering, it’s bound to be more effective than a promotional pitch from a nameless and faceless entity. If you have received a favorable review from a well known magazine or a shout out from a major industry player, make sure you display it prominently on your website. 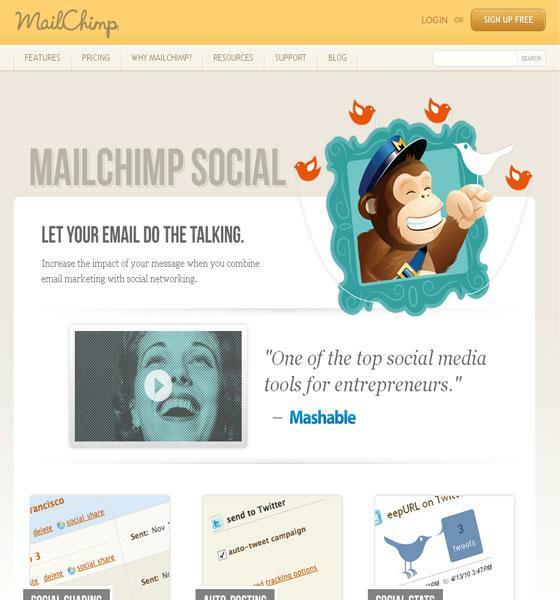 Mailchimp showcases a glowing review by Mashable. 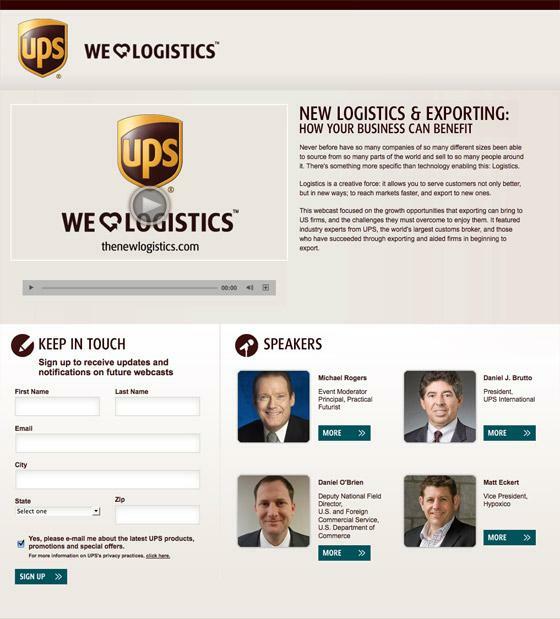 This UPS landing page not only features a webcast with industry players but prominently displays speakers such as a representative from the US Department of Commerce. Such associations build credibility, reflect success and inspire trust. If something is short on supply or only available for a limited time, it increases its exclusivity and creates a sense of urgency in people’s minds. 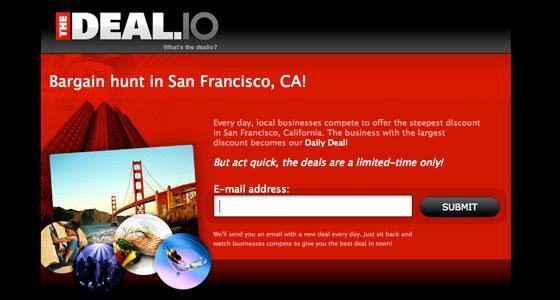 That’s why limited time offers are usually a clever marketing tactic. Your visitors are more likely to act instantly if they are told that you’re running out of stock or that a new deal ends in 48 hours. The classic “$99.99” price tag is a well known example of a pricing strategy that manipulates consumer psychology. Even though the price is virtually $100, it seems less to customers because it’s priced at $99. Jumping a whole price point for an insignificant difference could cost you a lot of customers. 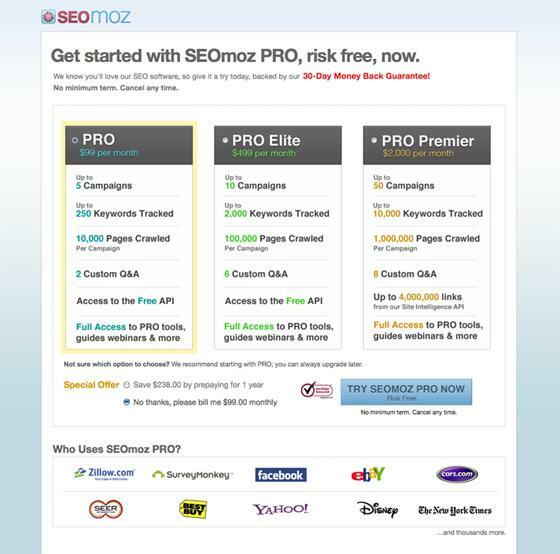 Similarly, you could also use dummy pricing to boost conversion. By offering your product or service in three variations, you can implicitly encourage users to select one certain option (usually the moderately priced middle option). The alternatives merely prevents users from thinking of the price in absolute terms and, instead, gets them involved in comparing the three price points. Pricing also has a quality connotation. Unless your USP (Unique Selling Proposition) is the industry-lowest price, you will need to price your products in accordance with the quality you claim them to have. Think of it this way: BMW would lose a lot of its elite clientele if it started pricing its cars to meet the budget of the mass market. Understanding your target audience and developing a tailored pricing strategy is fundamental to success. If you are selling a TV, the right time to prompt the customer to buy the installation or Care plan is when they have already added the TV to their cart. If you bring up all this extra expense while they are still looking around and making up their mind, you could overwhelm and, consequently, drive them away. Go Daddy prompts its customers to buy Email, SSL certificates and a domain once they’ve already added Web Hosting to their cart. 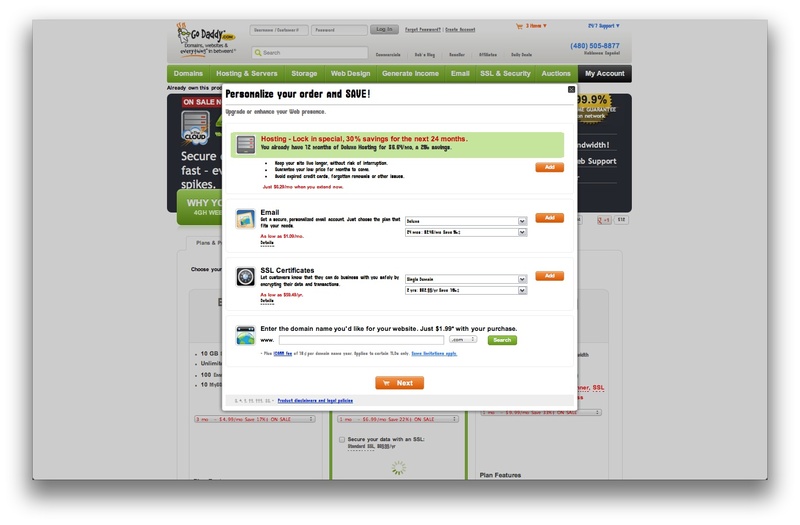 Just changing the color of your ‘Buy Now’ button could help you achieve better conversion. This sounds like a stretch but it’s really not when you understand the deep rooted science of color theory. In branding, colors play a very important role in establishing connotations and conjuring desired reactions. For instance, reds and oranges can easily give your webpage a vibrant and youthful look, pink can directly assimilate you to a female audience and black can be used for a serious, sophisticated and/or exclusive look. On the other hand, colors that are in direct contradiction to the nature of your business can drive away your target customers. If you are selling food, you should stay away from using a lot of blue as it can reduce appetite. Blue is better used for a banking service since it conveys openness, stability, clarity and trust. Here is a great infographic by the folks at Kissmetrics that details the effect of colors on purchases. Understanding consumer behavior is essential to creating well designed web pages and user interfaces. 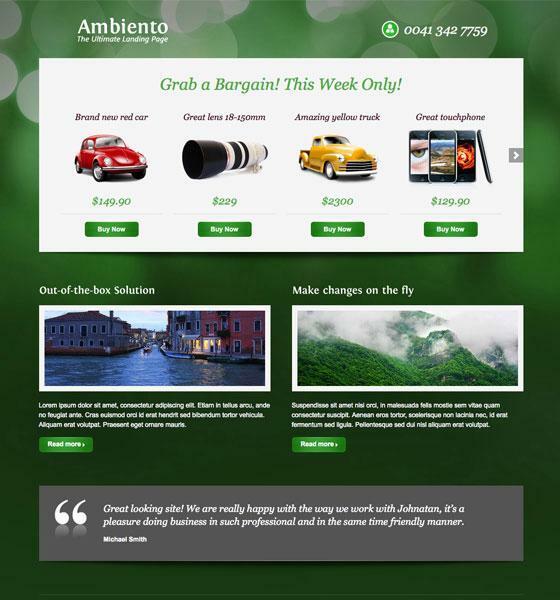 Use these 9 psychological tricks to design persuasive landing pages and effective promotional strategies.